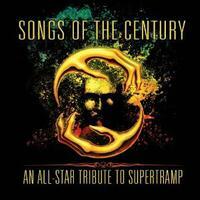 I am a big fan of pretty much anything Billy Sherwood is involved with and I love Supertramp, so when I heard Sherwood was in charge of assembling an all star tribute to Supertramp, I was excited. Well, this album lives up to my expectations. I mean, it has a lot of my favorite prog musicians and features great music. I was a little confused about the final track, so I asked Sherwood and he said that the label wanted him to include one original song in the spirit of Supertramp. It’s a great tune and sounds a lot like Yes, but I’m not 100 percent convinced its inclusion was a great idea. It just doesn’t seem to fit to me. Featuring Larry Fast and John Wetton, this rendition is suitably bouncy and catchy. I like this take and Wetton seems to blend his usual vocal presence with something closer to the original song. In fact, I love Wetton’s work and without looking at the credits, I wouldn’t imagine this to be him singing. That said, once you know it, it’s obvious that it’s a factual reference. There are some intriguing changes and alterations later in the piece, bringing some new flavors and sounds to the table. The later segments where it kind of works out into a prog jam that takes it gradually towards resolution are particularly cool. Porcupine Tree’s John Wesley is featured here. The vocals on this seem closer to the original version, but musically it seems to rock out a little more. Mind you, it’s sort of an edge rather than a full arrangement approach that’s different. There’s just a bit more of a crunchy edge to it all. Starship’s Mickey Thomas handles the vocals here. Other featured performers on this tune are Steve Morse and Tony Kaye. The vocals are the main thing that seems different on this tune. That said, Morse puts in a tasty guitar solo later in the piece that’s also a variant. There’s also a jam late in the piece that shows off more of Morse’s playing. There’s a killer melodic rock guitar solo late in the piece, provided by Peter Banks. Richard Page of Mr. Mister fame is the other featured guest here. This arrangement seems more purely progressive rock oriented than the original. Still, it manages to maintain much of the song’s original charm at the same time. This bouncy number, featuring Colin Moulding (XTC) and Geoff Downes is a great rendition of another Supertramp classic. While it seems pretty close to the original, there seems to be more of a modern prog vibe in some ways added to the piece. It does seem like they stretch things out later in the piece. Downes puts in a tasty keyboard solo on the extended outro movement, too. This cut really feels a lot like the type of thing Yes might do if they covered this, but the vocals seem closer to Peter Gabriel. Of course, Rick Wakeman and Billy Sherwood are both on this, so that brings the Yes sound home. Tony Levin is also featured here. The section later in the piece where Wakeman solos is extremely cool and this piece is one that seems more “different” from the original than other pieces. With Annie Haslam and David Sancious both featured here, the changes on this cut seem more subtle than on the last one. It’s still got that great soaring Supertramp vibe and is a great piece of music either way. It does have some keyboard sounds that seem a change. In a lot ways this feels closer to the original rendition that a lot of the other stuff here does. It features Gary Green of Gentle Giant fame and Jordan Rudess joining Sherwood here. Of course, like much of the stuff here, it gets into more exploratory territory later. With Roye Albrighton and Steve Porcaro both featured here, this one does feel quite a bit like Nektar at times. I’m actually not sure that I’ve ever heard the Supertramp version of this to make a comparison. Joe Lynn Turner and Dave Kerzner are both featured on this classic Supertramp tune. They put in quite a smoking hot rendition of the tune here. Turner’s vocals really add a lot of rock to the sound. There is almost a bit of a jam band vibe later in the piece. First off, just the fact that this includes both Robby Krieger and Rod Argent makes this interesting. When you add in the fact that this is one of the cooler tunes from Supertramp anyway, expectations are high. This more than lives up to those expectations. It’s got a lot of class in the mix and manages to bring some additional progressive rock to the table while still capturing all the original magic of the piece. While this cut that sounds a lot like Open Your Eyes era Yes (with both Chris Squire and Billy Sherwood – add in Tony Kaye doing a Sherwood penned tune, what else could it sound like?) is quite cool and tasty, I’m not sure why it’s on a Supertramp tribute disc. I mean, I like it, but it doesn’t really fit.